ItemCUMB_2011.071.001 - Bottle of Medicinal Wine Prepared by Wing Lee Wai, Hong Kong Macao; from Chinatown, Cumberland B.C. Item CUMB_2011.071.001 - Bottle of Medicinal Wine Prepared by Wing Lee Wai, Hong Kong Macao; from Chinatown, Cumberland B.C. 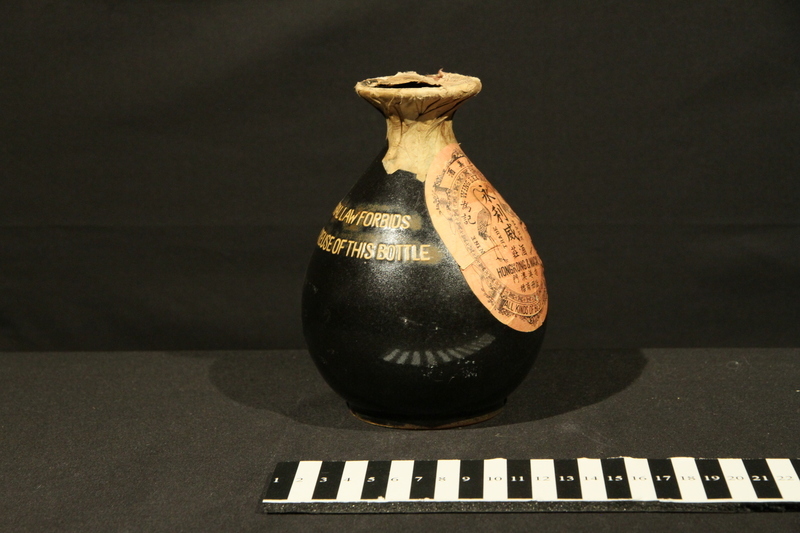 17 x 7.5 cm diam; 1 bottle; ceramic; dark brown; 4 labels. The donor’s father owned Charlie's Exchange and Pioneer Museum in Parksville; when he sold the museum many items from Cumberland’s Chinatown were brought to the Cumberland Museum and Archives.